For the second year in a row, North Carolina is No. 5 among the nation’s top states for business, according to CNBC’s First in Business Worldwide ranking. The 2017 result is the same as North Carolina’s ranking in 2016, when the state jumped four spots to become the nation’s fifth-best state for business. CNBC, the business news television channel of the NBC network, has conducted the annual study since 2006. To determine the latest rankings, CNBC scored each state on 66 different measures of competitiveness. Those metrics and scores were then separated into 10 different categories. 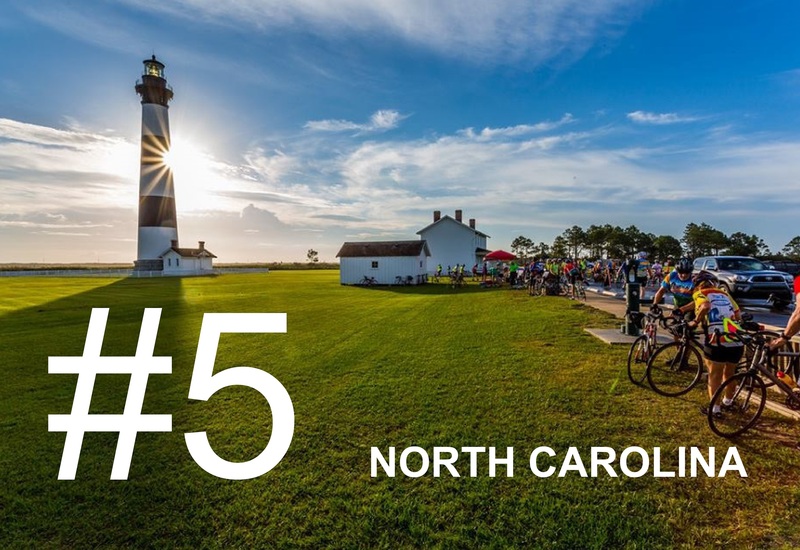 North Carolina finished among the Top 10 states in six of the categories: cost of doing business, workforce, technology and innovation, business friendliness, cost of living and access to capital. “The Tar Heel State’s best category is technology and innovation, moving up one spot this year to No. 6 from No. 7,” CNBC said. In 2017, North Carolina also moved up two notches to No. 7 in the workforce category of the nationwide study. North Carolina received an overall score of 1,568 out of a possible 2,500 across all categories. The state of Washington ranked No. 1 in the 2017 survey (scoring 1,621 overall). The No. 2 spot went to Georgia (scoring 1,616). Minnesota placed No. 3 (scoring 1,615), and Texas fell to No. 4 (scoring 1,602). CNBC’s full coverage of its latest “best states for business” ranking stresses that survey data provides insights into the health of state economies. “With workers around the country on the move in search of the best job opportunities, there is a ton of valuable data in this year’s survey that can help Americans learn more about the economic climate in each of the 50 states,” CNBC says. “Our ranking is a strong indicator of regional economic growth in the U.S.,” said Scott Cohn, CNBC special correspondent.